Looking for on-the-spot totschooling ideas? 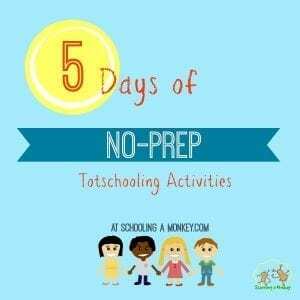 Check out our full list of no-prep totschooling activities here! If you have more than one child and are trying to homeschool, things get exponentially more stressful. At our house, there are six years between Monkey and Bo, which means that by the time Bo is in school, Monkey will be in 6th grade. Most of Monkey’s elementary years have been while Bo was a baby or toddler, which makes things challenging. We don’t want to ignore Bo completely while we do school, but other than completing school while she takes a nap, we’ve had to come up with some creative ways to keep Bo occupied so Monkey can do school and I can do work. 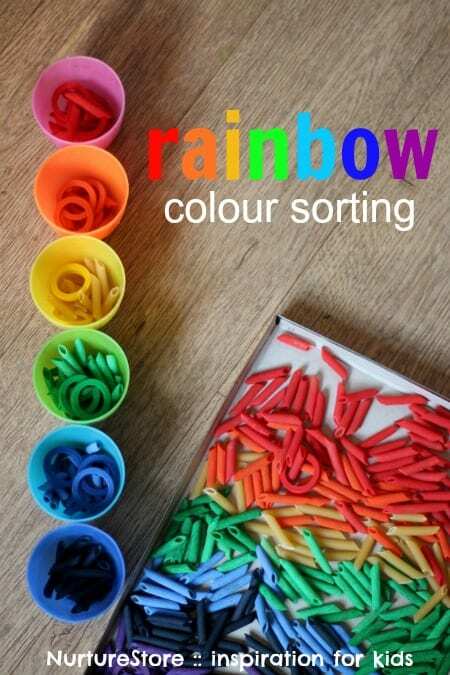 Color sorting is one of our favorite on-the-spot totschooling ideas. Bo is extremely into colors right now (her current favorite is blue) so this activity was a blast. If you don’t even have time or the printer ink to print our color circle printables, don’t sweat it. 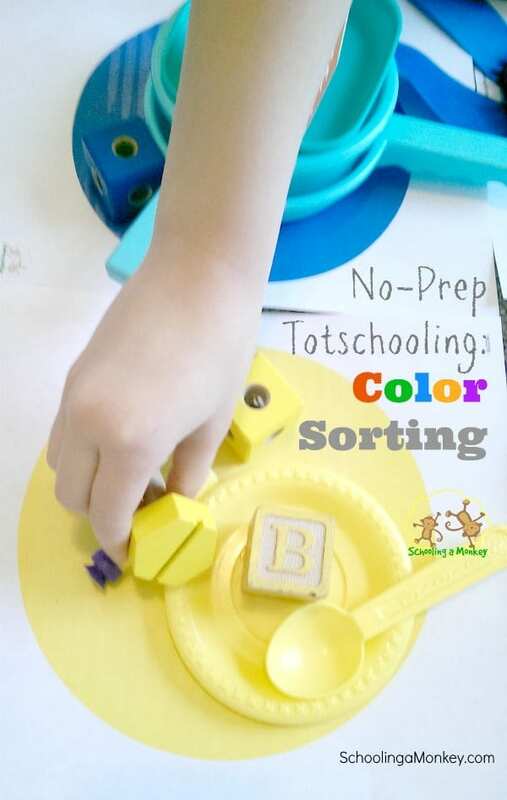 You can use construction paper for each color or even just start with one object of each color and have your preschooler add to that. Print the color circle printables and place them on the floor. 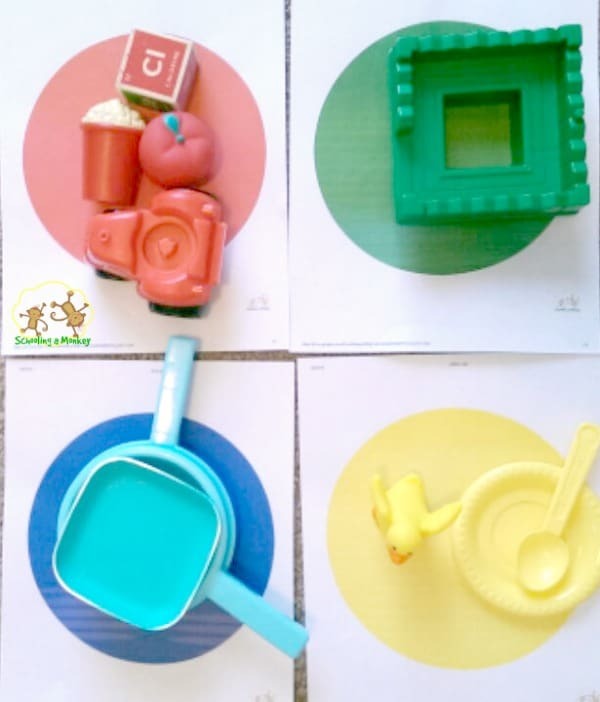 Have your preschooler find objects that match each color and place them on the correct circle. 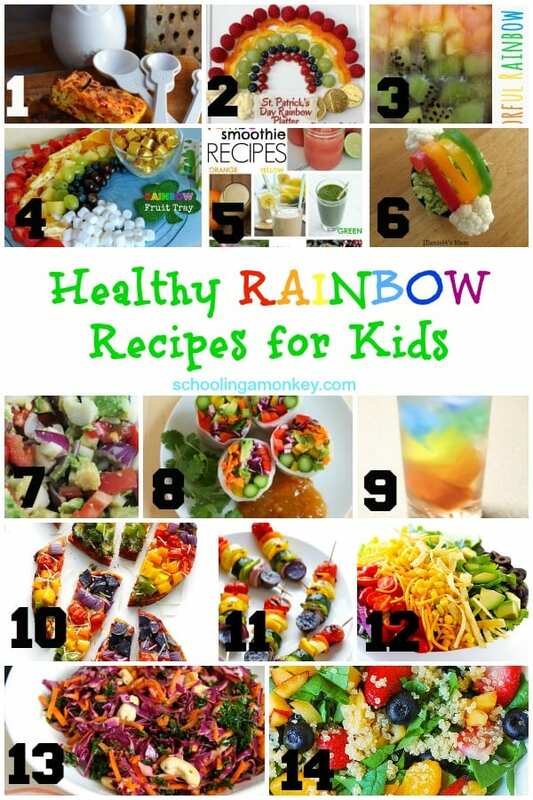 Talk about what each color is, or just let your child play on their own! Even Monkey thought this activity was a lot of fun. For an older child, spread out the circles across the room and challenge them to find five objects of each color in a certain time frame (like 30 seconds). This makes the game a lot of fun for everyone. Need more on-the-spot totschooling ideas? 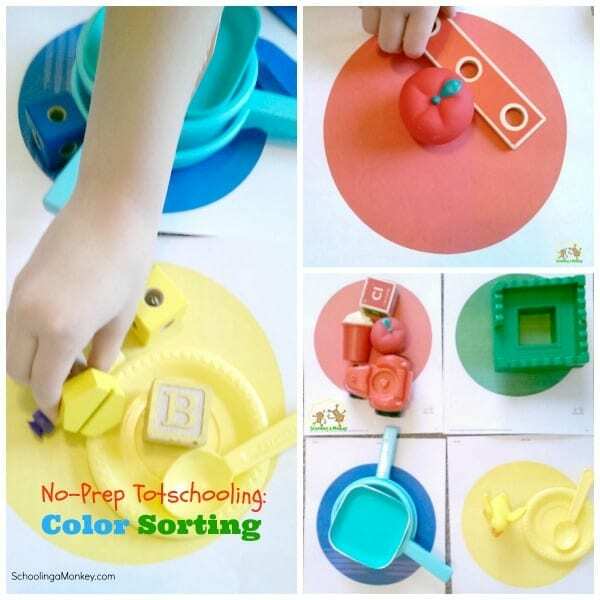 Check out all our no-prep totschooling activities here!